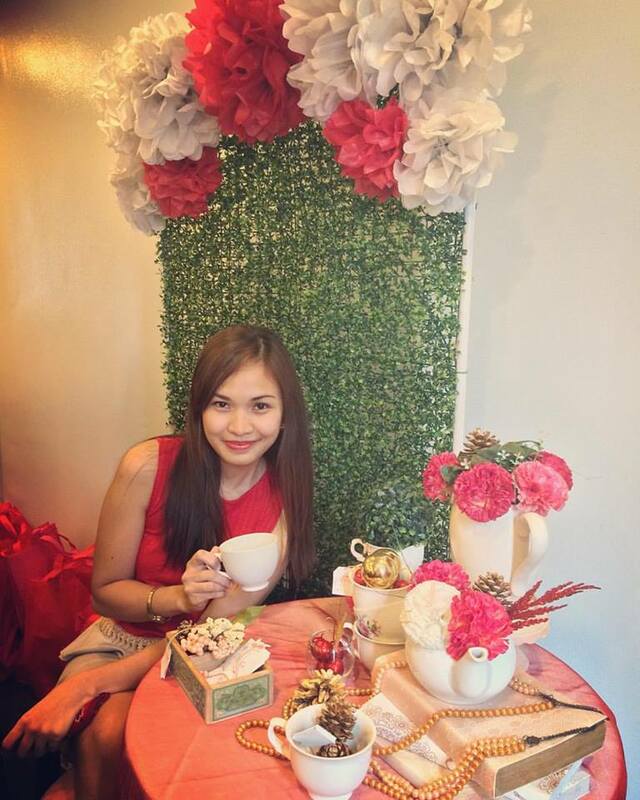 She's The Mom: FERN-C kidz- Our Kids' Daily Immunity Buddy. FERN-C kidz- Our Kids' Daily Immunity Buddy. Every parent is well aware of the feeling of wanting to protect our family at all costs. We want them to be happy, healthy and full of life, and achieving that can sometimes seem like something of an impossible mission. But isn't it a wonder how we, parents manage to pull it off? Life can get pretty busy and complicated at times, especially to working parents just like my husband and I. We can't be physically there 24/7 for our kids but we would never ever take 3 things for granted; education, time, and most of all their health. These 3 things go hand in hand together. When kids are healthy, they are happy and they can perform well in school. And as a mom, I would like to maximize the quality time we spend together and minimize the stress of having to deal with sick kids. So, it is my goal to instill healthy habits to my family. Our children's behavior and lifestyle are learned from us. And these should be the legacies we’re happy to pass down to them. I have been explaining to my children the importance of being healthy. In the house, I have been an advocate of having an active lifestyle by consistently exercising. I am happy that I have influenced my husband to exercise too at least thrice a week if not daily. I've also participated in some fun runs. At an early age, our children already know how exercising can help them become healthy and fit. They even join us during some of our sessions. We try our best to limit their screen time and get them to play physically, even it is just a simple running, going to the playground and swimming with life vests on since they still don't know how to swim on their own. Jaear and I are actually discussing some sports they can engage into. The kids though have been expressing their interests as well. Tristan likes taekwondo so is Athena who also likes ballet, Brianna, on the other hand, likes gymnastics. Apart from an active lifestyle, a healthy diet is of equal importance. They know what is healthy and unhealthy food though I admit there are cheat days so we coined them as sometimes food. Among the 3 of them, Brianna loves veggies the most. On top of what we get from our diet, it is recommended that we still let our kids take Vitamin C supplements to help boost their immunity and protect them from sickness and diseases. And, when it comes to Vitamin C supplements, I strongly encourage moms na "Silipin ang C- we should always check the quality of the Vitamin C that we give our kids". As for me, I only give my kids FERN- C kidz. 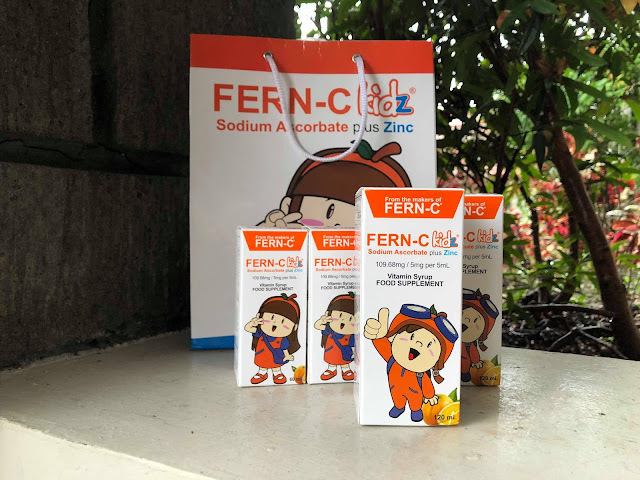 FERN-C kidz is made with the same Sodium Ascorbate found in the FERN-C the Number 1 Sodium Ascorbate Vitamin C which is safe for children to take on a daily basis. Each bottle of FERN-C kidz is marked with the Quali-C seal, which certifies it of quality and effectivity. 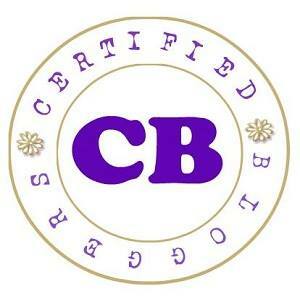 This ensures every mom out there that this Vitamin C supplement is safe, secure and efficient. FERN-C kidz also contains Zinc for added protection. It has a yummy orange flavor that kids love! 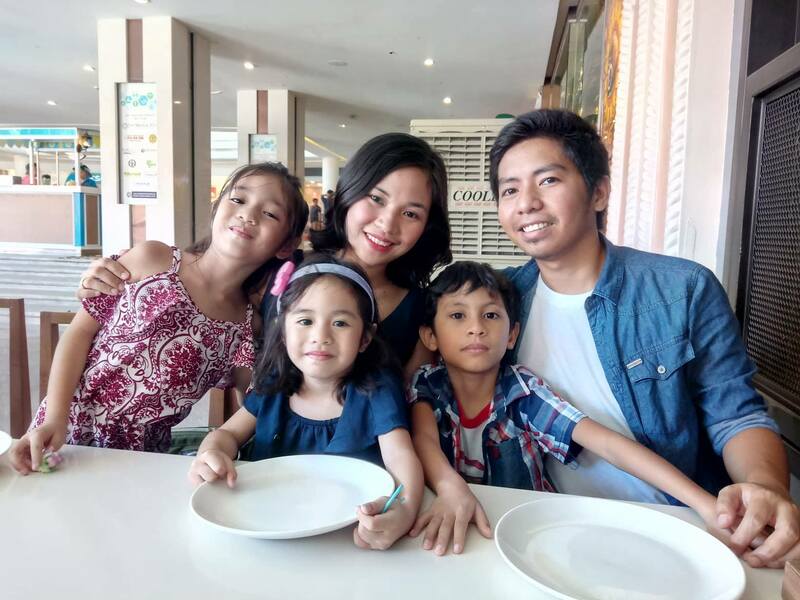 With FERN-C kidz, I am confident that I am addressing the top 3 priorities when it comes to our kids' and that is by providing them the protection they needed even in times when their dad and I aren't around. 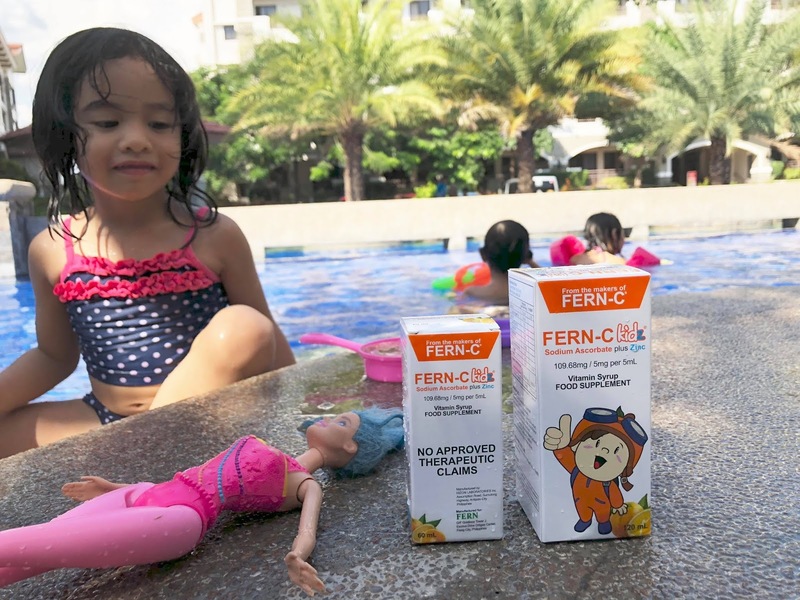 Fern-C kidz helps me prioritize our kids’ health, to help them enjoy their education and the quality time we spend together as a family. 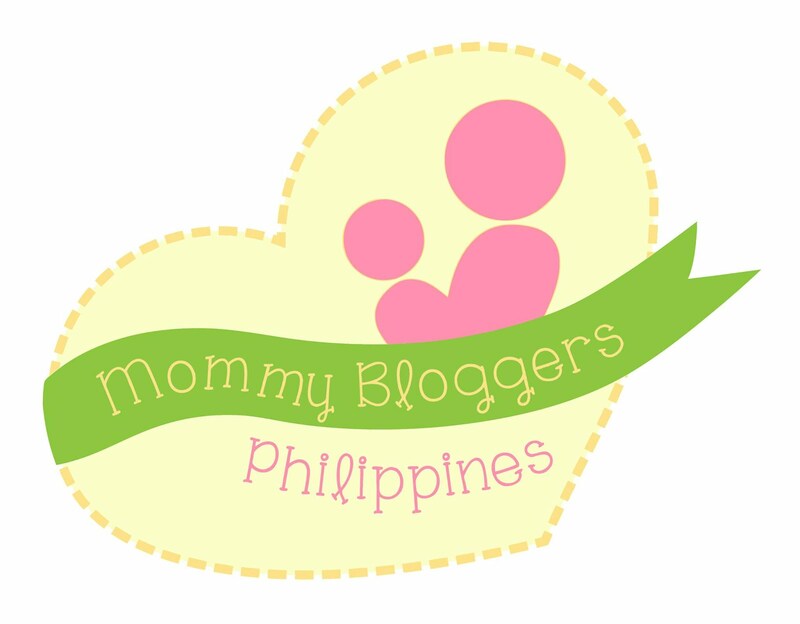 So Mommies, always remember "Silipin ang C" and choose your kids’ daily immunity buddy wisely! All Things Hair - All Out Summer Sale 2018!